Models Own the brand renowned for their bright and innovative nail polishes has recently released their first full makeup collection featuring over 500 eye, face and lip products. A little unexpected maybe for the British born nail polish brand, but the new collection is reflective of Model's Own brave and bold attitude with an array of products ranging from fearless palettes and brightly pigmented lip gunks. 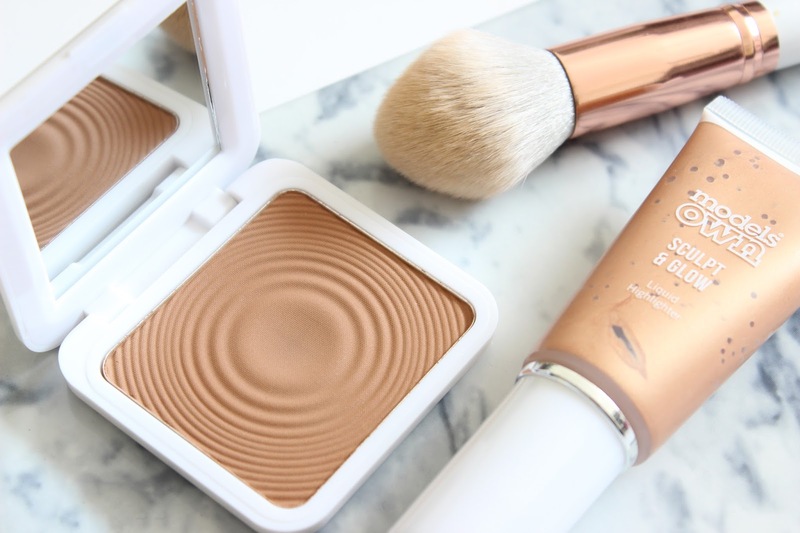 Today I wanted to share with you just two of Models Own makeup products; their Sculpt & Glow Liquid Highlighter and Sculpt & Glow Contouring Bronzing Powder - two products guaranteed to deliver a glow no matter the forecast this summer. Sculpt & Glow Liquid Highlighter in Rose Gold £9.99* If the Becca Shimmering Skin Perfector isn't quite within your budget, Models Own Sculpt & Glow Liquid Highlighter will please you immensely. The rose gold liquid highlighter available in four shades can be worn all-over (face, shoulders, legs, collar bone), mixed with your favourite foundation or moisturiser, or can be applied anywhere on your face where the sun naturally hits. The lightweight liquid highlighter does have a subtle scent, but is beautiful, imparting a gorgeous glow without the glitter. This multitasking product from Models Own dispenses through a pump and applies best with a beauty blender or fingers. It for sure gives my high-end liquid illuminators a run for their money. Sculpt & Glow Contouring Bronzing Powder in Deep Tan (02) £8.99* Models Own Sculpt & Glow Contouring Bronzing Powder is a bargain buy that isn't laced with glitter. Available in four shades (two matte & two shimmer) and encased in a small white compact, this medium-toned matte bronzing powder is a great all rounder. 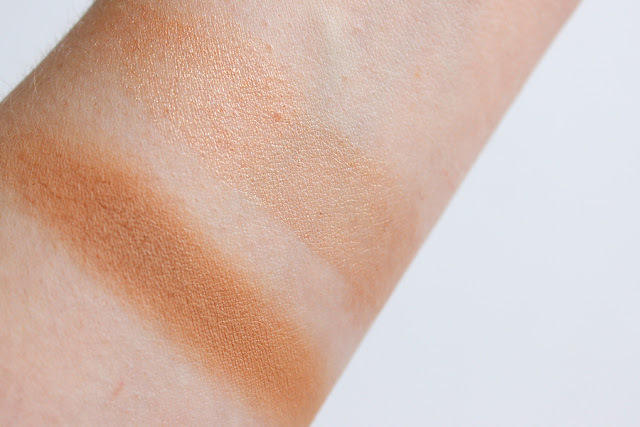 It has a slight warmth that isn't too orange, making it the perfect high-street product to fake that sun-kissed glow and sculpt your cheekbones due to its matte finish. The powder isn't chalky and is buildable, although I do tend to tap off any excess to avoid looking dirty. But all in all I'm a sucker for the aesthetically pleasing embossed water ripple - who wouldn't be? What are your thoughts on Models Own new makeup range?